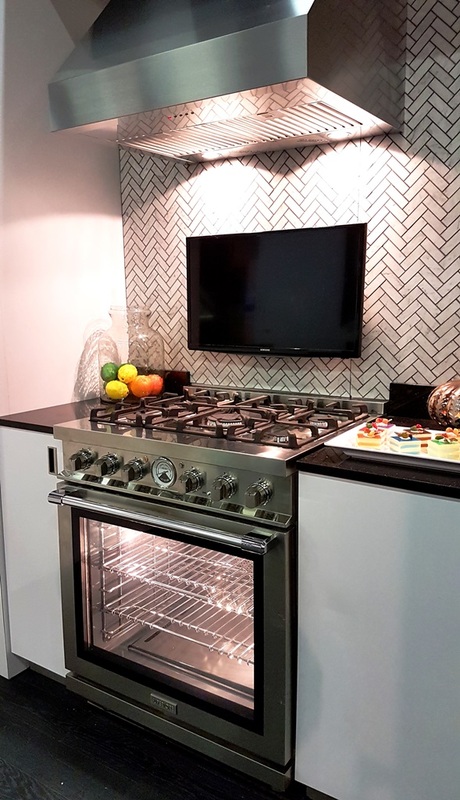 We co-exhibited with Liebherr Appliances in their MONOLITH Inception Kitchen booth, designed by Richard T. Anuszkiewicz and first seen on display at KBIS. 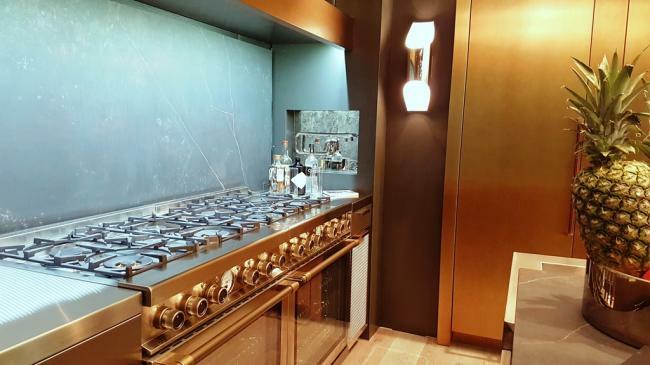 This buzz-worthy design did not disappoint in New York either, drawing crowds all weekend long to take in Liebherr’s new Monolith column refrigeration system paired with our side-by-side 30” NEXT ranges and custom Bronze Trim. 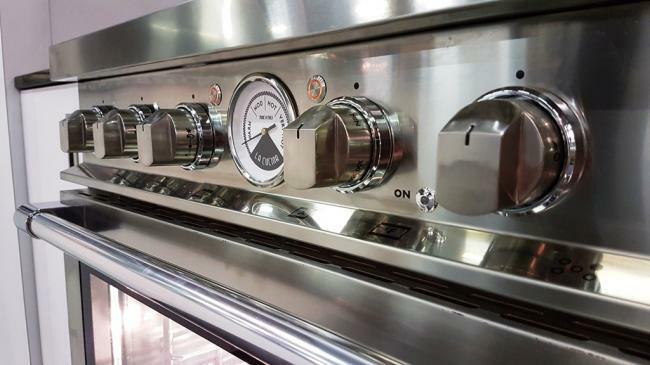 We also displayed in the ALMO Premium Appliances booth, featuring a variety of our collections. Making its first official trade show debut, our new LA CUCINA 30” range was proudly featured as the latest launch from SUPERIORE. 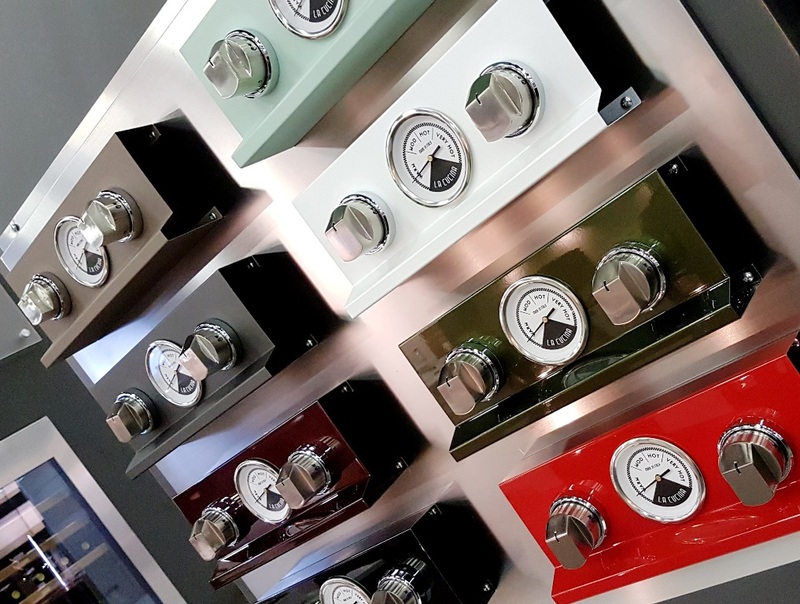 The stainless steel range was paired with a sample board highlighting the eight unique color offerings and four new finishes available to the 36” range size. 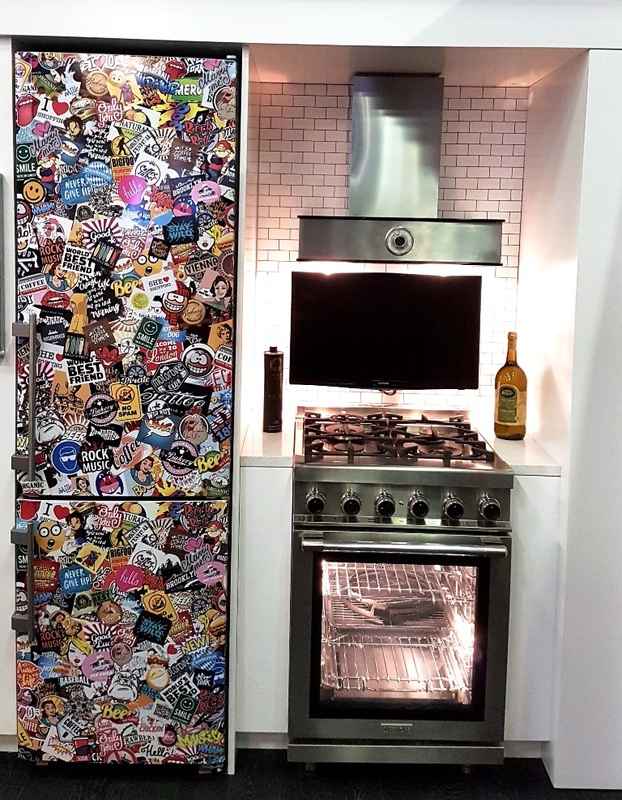 Our 24” NEXT range and matching hood, which was designed based on feedback from a previous AD Show, continued to impress the NYC market with its compact size and large oven capacity. Last but not least, our beautiful 36” Dual Color DECO range in Matte Black with Bronze Trim, displayed with Matte Creame barrel hood on top, became a conversation point for customization by designers who passed through the booth. Our thanks to Liebherr Appliances and ALMO Premium Appliances for our excellent partnership. With over 40,000 visitors walking the show over the course of four days, we were thrilled with the experience and looking forward to continued success in 2018!